In the woods here.I loved going on hikes when I lived upstate NY and don't get to do much of that anymore. One of my favorite hike is the Ramapo Reservation in Mahwah New jersey.Since I'm currently upstate and I thought that would be the perfect backdrop for this casual look.If I were to go on a hike,this is what I would wear since I don't believe in leggings.I think leggings should be banned outside the gym.I feel like such a slob in them,and I always wear regular clothes even when I go hiking.What do you wear to go hiking? 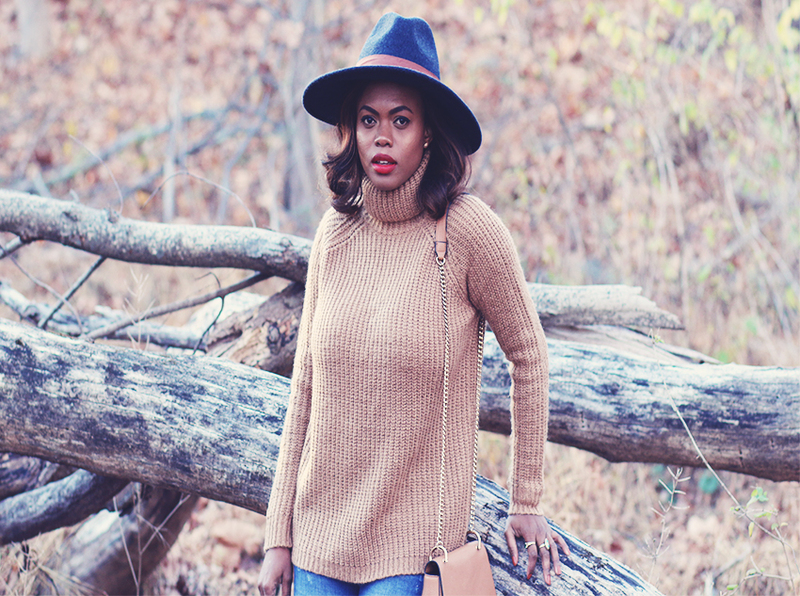 The camel sweater and my bag blended in nicely with the woods. 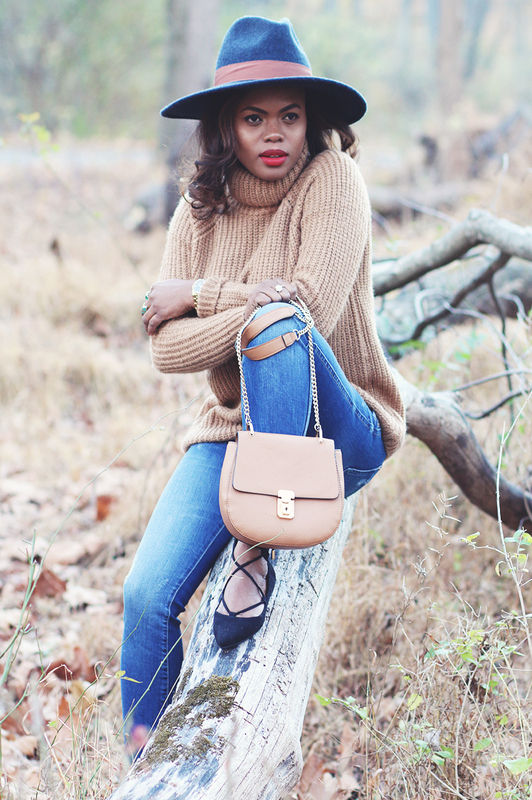 Paired with my favorite lace up flats at the moment from Topshop.